I like cake. A LOT. And I quite like baking, because, y’know. Cake. Unfortunately the oven in the last house I lived in was a bit rubbish (took twice as long to cook anything) and the kitchen was small so all my baking equipment was packed in a box in the loft. Sad times. Since moving into Stu’s house I’ve started baking again, partly because I was trying to make dairy free cake (quite tricky) and partly because I can now keep my baking equipment in a big box in the garage. And so, after a request from a colleague, I decided to try something I’ve only baked once before. 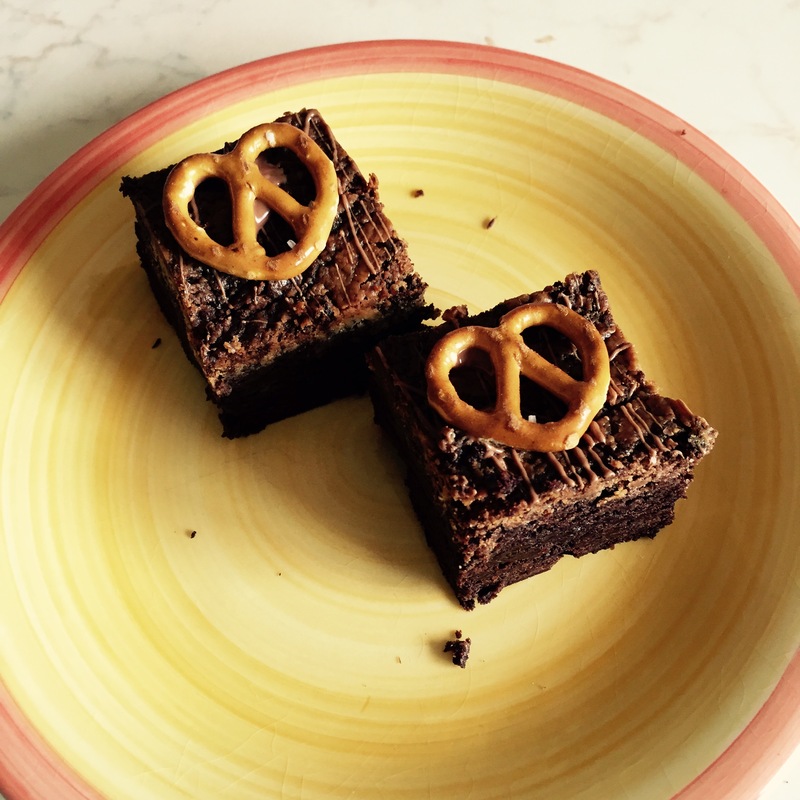 One of the many things I love to bake and eat are brownies, and I found this Fudge and Pretzel brownie recipe on Kerry Cooks back in 2012. Using this oven I think I need to cut my bake time down a bit as I’ve ended up with yummy but very crumbly brownies, rather than gooey and chewy. Also, I can’t really taste the peanut butter, so I might experiment with quantities for that in future too! Still. Brownies in the office on a Monday! Hurrah!